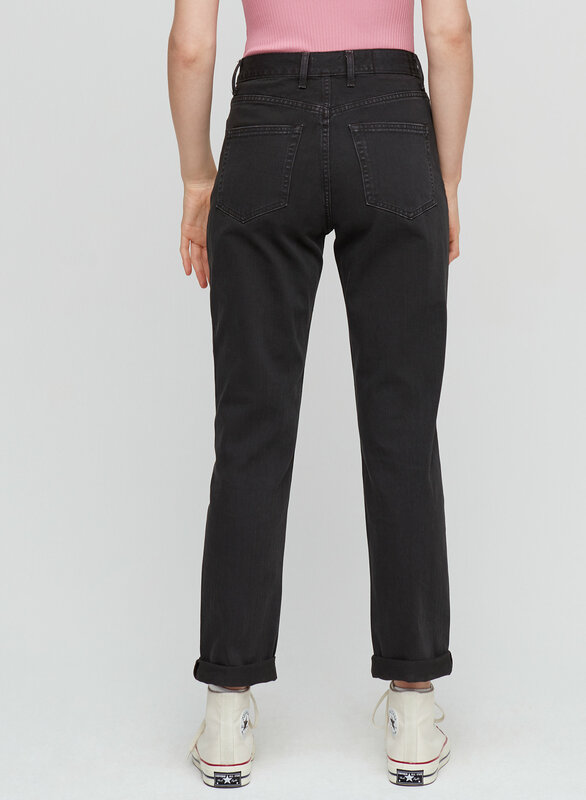 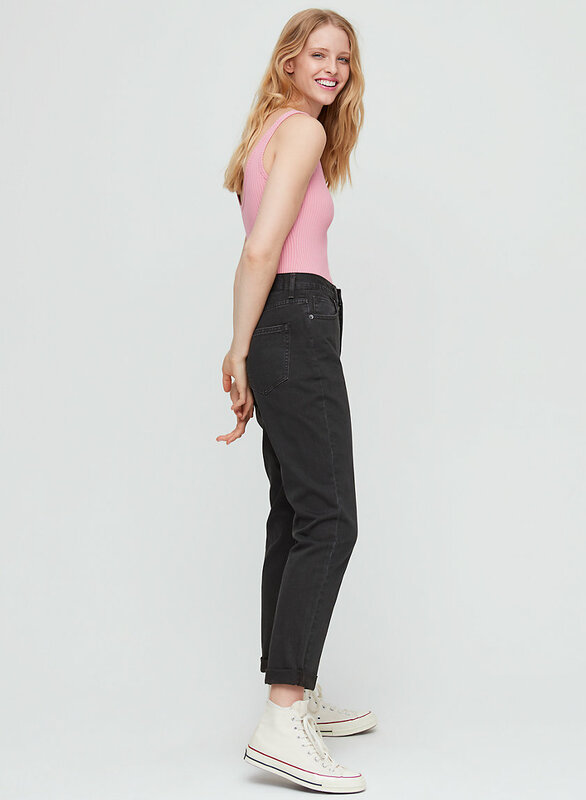 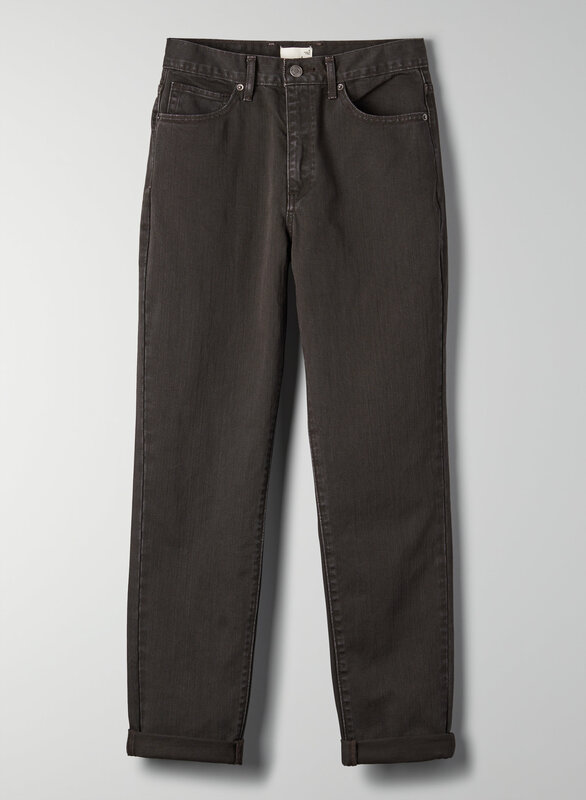 This is a high-rise relaxed jean with a tapered leg, adjustable rolled cuff and shadow patch detail on the back. 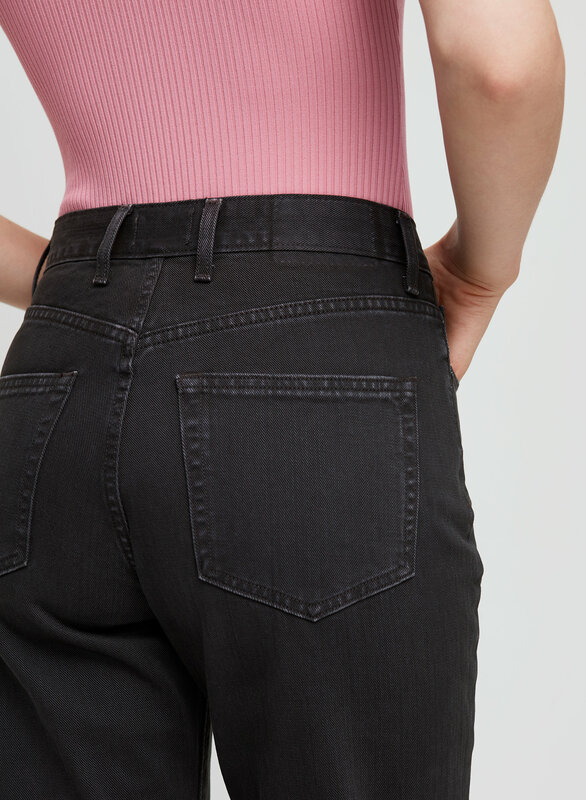 It's made with a non-stretch cotton denim. 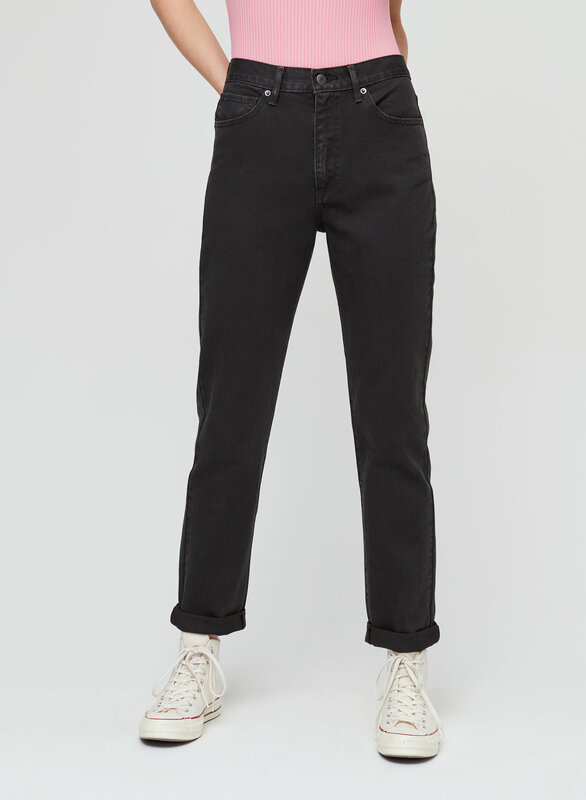 This version of the Nikki comes in a black wash.